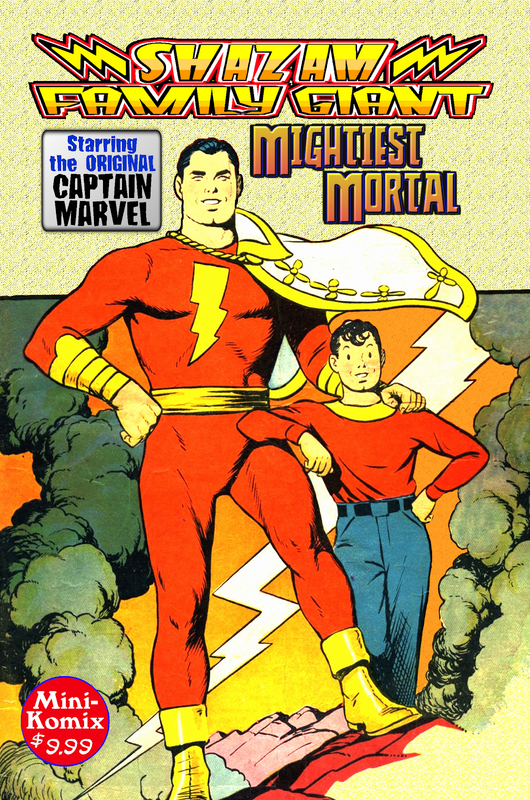 The Shazam Family Giant presents the Mightiest Mortal, the ORIGINAL Captain Marvel! Billy Batson is a boy reporter given the powers of six gods, allowing him to transform into the World's Mightiest Mortal! Captain Marvel saves the day from rampaging dinosaurs, alien invaders, mischievous magic, crooked criminals, and the devious Dr. Sivana! 100 Big Pages! You get this in print through us, or at Lulu, plus download it at Drive Thru Comics.